You’ve been doing what you love. You know how you’re meant to matter. The gifts you’re delivering need to be shared with a whole lot of people because the world really needs it right now! It’s time to play a bigger game and up-level what you’re putting out into the world! Your life experiences have led you straight to this point in your life that you’re so ready. There’s a good chance you’ve played in the world of being brave in your life to get to this spot. But you still might be hiding a bit, because getting out on that edge of your comfort zone makes you squirm in your seat and shrink behind the curtain. And every time you grow into bigger space it takes a new dose of courage. This is how to get your voice heard and I’m guessing more people need to hear your message. You’re seeking the routes that will bring you the fastest growth, bigger audiences and, yes, more cash flowing your way! It’s time to light the pathway before your Emerging Expert self and open the door to shining your light – your voice – out to the world, and become known as the Wildly Successful Woman that you are! Over the next few days, I’ll be sending you a short video series to accelerate your path to success, starting with today’s video on Raise Up the Gift of You, listed below! Next we’ll hit on Raise Up The Brand of You, and then Raise Up Your Voice. I share some of my best tips to elevate YOU to the people you want to reach! Also, if want to be inspired by some of the many stories on my Extraordinary Women Radio podcast of women who have raised their voice for impact, tune in to some of my most recent episodes! 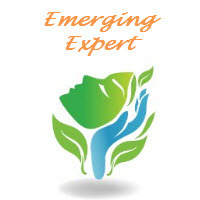 Raise Up the Emerging Expert in You! Over the next week, I’m going to send you a video series to you to help you Raise Up Your Voice, Your Presence and Your Impact – so you can move from Emerging Expert to owning your Expert-Self! I will cover how you build your brand from the inside-out, to give authentic voice to the things you care most about and attract more clients to build the business you desire! It’s all about raising up your brand, your image, your credibility in the work you are called to do. It’s about listening to your soulful-inspired wisdom and following the signposts that the Universe elegantly drops in your pathway! Today, I invite you to consider this question… “If you had one message to share with the world, what would it be?” It’s a powerful question to journal on! I share this and more in the short video here – let’s jump start your Emerging Expert journey! Welcome to this journey to #RaiseUp Your Voice, Presence and Impact! In the meantime, if you’re wanting some private focus on the brand of you and how you’re sharing your voice with the world, I invite you to apply for one of my Soulful-Inspired Strategy Sessions! Let’s jumpstart your voice and your impact!